Welcome to our new Air Pollution Campaign! Why are we running this campaign now? Every year an estimated 40,000 people in the UK die prematurely due to air pollution. For Birmingham, the annual figure is around 891. Air pollution in Birmingham is having a long term, detrimental impact on our lives. Birmingham City Council has to create a Clean Air Zone (CAZ) by 2020. We want this to happen and need it to be a large, effective, clean and sustainable as possible to have the greatest possible impact. We’re also joining the call for a New Clean Air Act. We need to make sure that the current protections and laws which help hold the government to account on air quality and the environment remain enshrined in UK law after Brexit. We’ve responded to the council’s recent consultations on air quality, potential cycle routes, and potential new emissions standards for taxis. In April we helped run the Keeping the West Midlands Moving Mayoral Transport Forum, where we put questions to the mayoral candidates about public transport and air pollution. We’ve put up 10 Clean Air Kits which we’re using to test Birmingham’s air quality at key locations. We’re sharing the results with the public to highlight the poor air quality and using them to put extra pressure on the council. 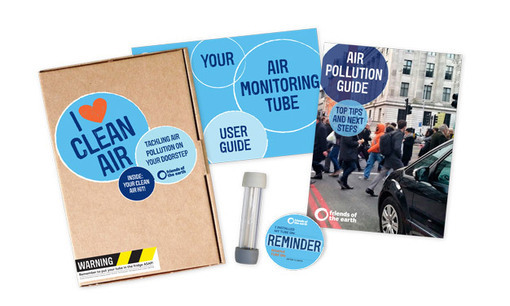 We’re also encouraging our members and supporters to get Clean Air Kits too. It’s an opportunity to get involved with a huge national experiment, testing the air quality in your area. The results are collected by Friends of the Earth at www.foe.co.uk/page/national-air-pollution-map. We are looking to grow the campaign and are always happy to welcome new members. If you would like to learn more about our campaigns, please feel free to contact us or pop along to weekly campaign meetings. The use of wood burning stoves in built up areas is an issue too. I can smell the smoke from nearby chimneys in my flat. Especially from one chimney which is set low on the roof and is metres away from my bathroom. Woodburning stoves can be beautiful but I wish people would be mindful about the health of their neighbours.